Other Products by Tribeca Health. Search other Antioxidant Supplements products. Equivalent to 20 cups of green tea per serve. Contains resveretrol, equivalent of 25 glasses red wine. Contains potent antioxidant EGCG to promote weight loss by inceasing energy expenditure. Fights the damagining effects of free radicals and works to scavenger free radicals. Detox liver & kidneys for greater wellbeing. Boosted with Vitamin C for wholistic Antioxidant benefits. What is Green Tea X50? Green Tea X50 is a concentrated antioxidant-rich green tea drink from Tribeca Health. It mixes easily in cold or room-temperature water and comes in a variety of flavours, including X50 Green Tea Cranberry, which is a unique and delicious flavour. Green Tea X50 is rich in antioxidants, which are helpful for maintaining general health. It contains green tea polyphenols and catechins, including EGCG, and an antioxidant found in red wine called resveratrol. 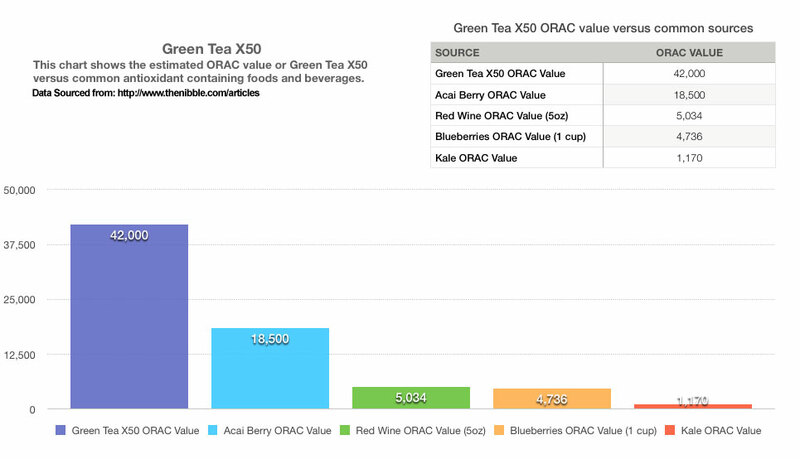 Each serve of X50 Green Tea is the equivalent of 20 cups of regular green tea and contains the resveratrol content of 25 glasses of red wine. Resveratrol has been shown to increase antioxidant enzymes found in the mitochondria-the energy powerhouse of the cell. This supports natural energy synthesis inside the cell 1. Green Tea X50 may increase the metabolism and assist with fat-burning due to its thermogenic properties, enhancing the benefits of weight loss programs. Clinical trials have shown that EGCG can increase the metabolic rate 2. 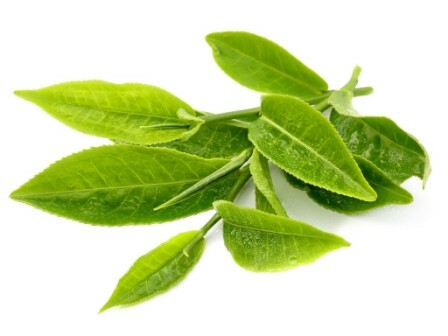 EGCG is a natural polyphenol found in Green Tea. Green Tea antioxidants have also been shown to increase exercise-induced abdominal fat loss 3. X50 Green Tea is perfect for those busy days when your energys levels need a boost. It's certainly a better option than a snack food that might tip your daily calories into the red! 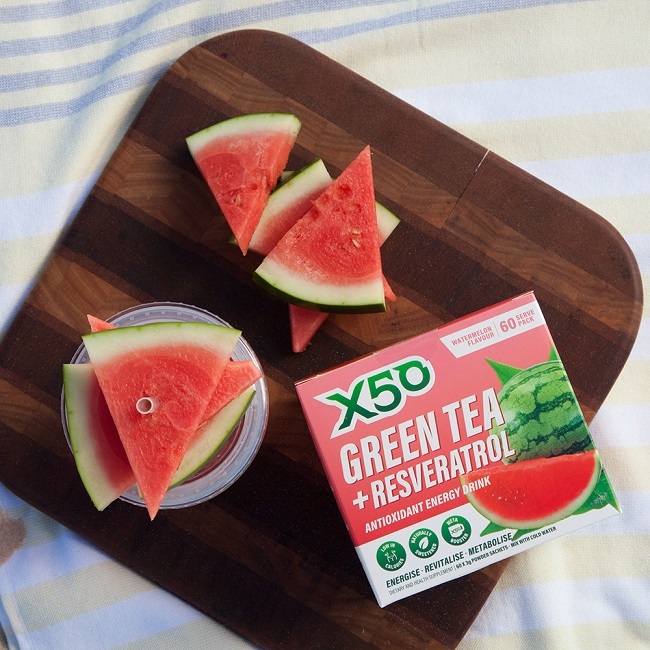 And with flavours like X50 Green Tea Raspberry and Passionfruit, X50 is refreshing and revitalising. 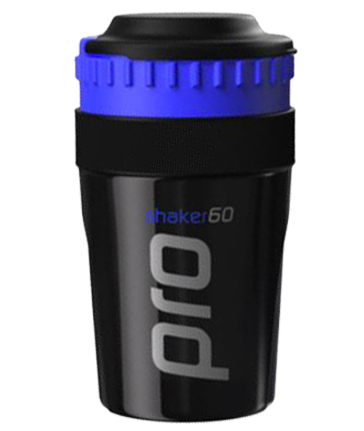 Follow this link to check out the Sportys Health X50 stack. Green Tea X50 is diabetic-friendly and contains no sugar or artificial sweeteners. Is Green Tea X50 Good for You? Green Tea is a very well researched herb, due to its widespread use throughout the world. Many benefits have been discovered and documented in scientific journals over decades now. Some of the benefits uncovered so far are: antioxidant, anti-cancer, detoxification and thermogenic. It has also been shown to reduce amylase and lipase activity, which reduces starch and fat digestion. This means less calories are absorbed from a meal. These effects were reported in Scientific Reports, 2015, and the Journal of Agricultural and Food Chemistry in 2012, respectively. The L-theanine contained in this herb has a relaxing effect on the mind. However, this effect will only work for those who are not overly caffeine sensitive. Is Green Tea X50 safe while Pregnant? As there is limited data examining green tea extracts and their use during pregnancy and breastfeeding, it is best to avoid these types of products at this time. Does Green Tea X50 have Caffeine? Yes. Each sachet of Green Tea X50 contains 84mg of caffeine, all of which is naturally occurring in the green tea. Green Tea generally contains much less caffeine than coffee does. However, one sachet one X50 Green Tea has a comparable amount of caffeine to a standard cup of coffee. Coffee does not contain L-theanine, which is found in green tea. This amino acid helps to reduce some of the side effects of caffeine, such an jitteriness and anxiety. Both coffee and green tea contain an abundance of natural antioxidants. Also, both contain fat burning compounds, such as EGCG and chlorogenic acids, found in green tea and coffee, respectively. However, the scientific evidence-base for EGCG is stronger than that of chlorogenic acids. For adults 18 years of age mix one sachet into 600ml to 1 Litre of cold water and consume. Take one sachet daily. This product can be taken any time of the day, even as a natural pre-workout. However, as it contains naturally occurring caffeine, anyone who is sensitive to caffeine should avoid using this product too late in the day or evening. My wife and I love the raspberry X50 as our first drink of the day. Green Tea X50 INGREDIENTS: Green Tea Extract (39%), Fallopia Japonica (5.4%), Maltodextrin, Sweetener (Xylitol), Citric Acid, Malic Acid, Alfalfa Powder, Ascorbic Acid (Vitamin C), Pepper, Colour. Check out this link for a full review on X50 Green Tea.